It is with greater pleasure that I greet my fellow Christians and readers in the name of our lord Jesus Christ. 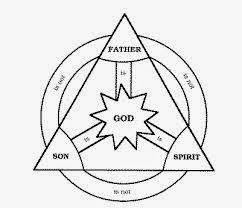 In this week’s addition, I would like to talk about the Holy Spirit as the third party that completes the trinity (father, son and Holy Spirit). Therefore, it is the purpose of this piece of work to highlight the importance of the Holy Spirit since He is a member of the trinity that is not recognized and respected compared to the other two. And it is equally important to realize that the 3 members are equally and serve the purpose of testifying. Moreover, the Holy Spirit seems not to be given the credit that he deserves because many Christians out there either do not know him or doubt his existence making it incomplete for any believer to have true conviction without experiencing his presence. For some believer, they consider the holy spirit as a spy, hence making it more difficult to acknowledge Him since the world is filled up with negative opinions and mixed emotions about spies and anything in relation to them, however, it is unfortunate for those that consider Him a ‘spy’ because it’s of no significance to acknowledge the 2 members of the trinity while substituting a member due to unbelief and ignorance. It is common knowledge and biblically proven, that people perish due to lack of knowledge (Hosea 4vs6) and this can be physically proven by the rejection of the Holy Spirit by the majority but it’s important to knowledge that, God is not moved by majorities that uphold self-doctrines compared to a minority that dwells in the true word of God that He has inspired. In line with the above, the Holy Spirit is ‘another counselor’ that Christ Jesus (John 14vs15-16) left for us in His absence not to condemn us or spy but to safeguard and teach us (John 14vs24). Furthermore, many confuse the presence of the Holy Spirit with emotions and hormones changes or environmental changes. However, the presence of the Holy Spirit can only be experienced by one’s ability to learn to dwell in an atmosphere filled with praise and worship and can further be experienced if we allow the Holy Spirit to work in us the way He wants to work, then He can produce what He wants in us. As for emotions, the can be defined as a mental state that arises spontaneously rather than conscious resulting into: joy, sorrow, hate and love hence with the above definitions one can distinguish that the Holy Spirit is inspired by God and experienced by born-again Christians while emotions are inspired by hormonal changes or maybe environmental factors and can be experienced by anybody so the difference is there without any relation between the two. So to demonstrate more on how to have a relationship with the Holy Spirit, an individual has to develop a ‘routine’ contact with Him by spending much time with Him and this can be seen through meditation, worship and prayer. To put it differently, one can only acknowledge and obey His presence and voice by spending time with Him and this will eliminate ‘FM station voices’ tuned in our minds that many tend to obey. Generally, the fear by most Christians to recognize the Holy Spirit is based on personal feelings and believes nothing to do with scriptures, but in reality we cannot do without Him in our lives and He cannot force Himself on us since He is a gentlemen. As a matter of fact, it is more be hearten to see the culture of ignorance and pride prevail when our worship is affected by our own doctrine because at the end of the day, worship has nothing to do with our feelings. In conclusion, the freedom of choice and obedience lies in our own hands and one’s choice is not subject to any debate but ignorance is a trap that limits growth in ministry. Remember, you are not too young to begin to experience and acknowledge the presence of the Holy Spirit because He is Real.